Nokia has agreed to buy out Siemens from the telecoms equipment joint venture (JV) between the companies. Nokia will pay less than $2.6 million for the 50 per cent holding of Siemens "three people familiar with the situation" told Bloomberg Businessweek. Meanwhile new data from market analysts IHS suggests that Nokia yields about a 30 per cent margin on its cheap, cheerful and colourful Nokia 105 handset. Bloomberg sources say that Nokia will raise cash from its shareholders to buy Siemens out of its telecommunications-equipment joint venture. Apparently Siemens has been trying to exit the telecoms industry for a number of years to focus on energy, healthcare and rail. Meanwhile Nokia would like to take this JV project under its wing, a project which returned to profitability last year and has seen improving earnings since that time. How can a company make profits from a mobile phone handset that retails for as little as $20? IHS has done a teardown of the cute little Nokia 105 to find out. In an email to HEXUS the IHS research team said that the Nokia 105 has an estimated bill of materials (BOM) of $13.50, adding in the manufacturing costs brings the price up to $14.20. The $20 suggested retail price therefore results in a margin of 29 per cent on the phone. Of course retailers must make money on the sales and there may be other costs involved such as those associated with software, licensing and royalties. Around eight years ago IHS looked at the "iconic" Nokia 1110, which shares many features with the new Nokia 105. "We determined that the 1110’s BOM was nearly three times larger than the 105’s—even when accounting for the black-and-white display used on the old model. 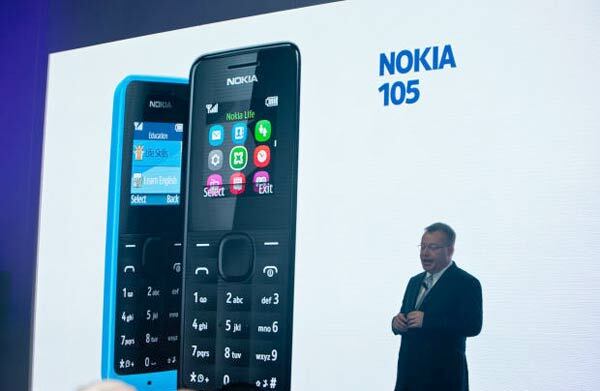 Therein lies the 105’s secret: By keeping features the same for nearly a decade, the Nokia 105 can integrate nearly all system functions into a single chip, dramatically reducing the cost to produce a cellphone," said Wing Lam, principal analyst for IHS. Moore's Law and "holding the line on features" are said to have helped reduce the handset costs so much. Looking at one particular component, the colour display, IHS notes that it costs $2.25, about 17 per cent of the BOM. There are multiple suppliers of this 128x128 TFT colour screen available and competition among them for Nokia's large orders keeps the price down. The Nokia 105 is a great backup phone with 12.5 hours of talk time and 35 days of standby. It's pretty tough and also dust and splash proof. 11 Does the Samsung Galaxy Fold hinge and screen lack durability? Review units with The Verge, CNBC, EVLeaks, and Bloomberg have faults after a few hours. Yesterday it announced the new Snapdragon 730, 730G and 665 for mid-range devices. 39 QOTW: Which feature matters most when buying a mobile phone? What specifically do you look for in a new handset? I wonder, if we all dropped our smart phones and swapped for this , how much more happier we would be as people and society. 35 days standby… Enough time for the charger to actually gather a good layer of dust between uses.